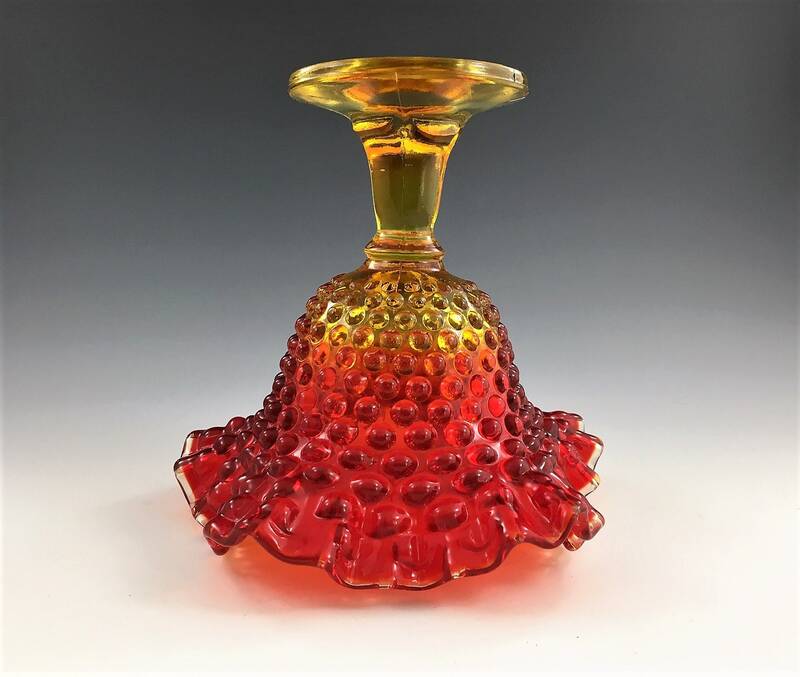 Featured is a vintage Fenton art glass red amberina hobnail pedestal comport with double-ruffled crested rim. 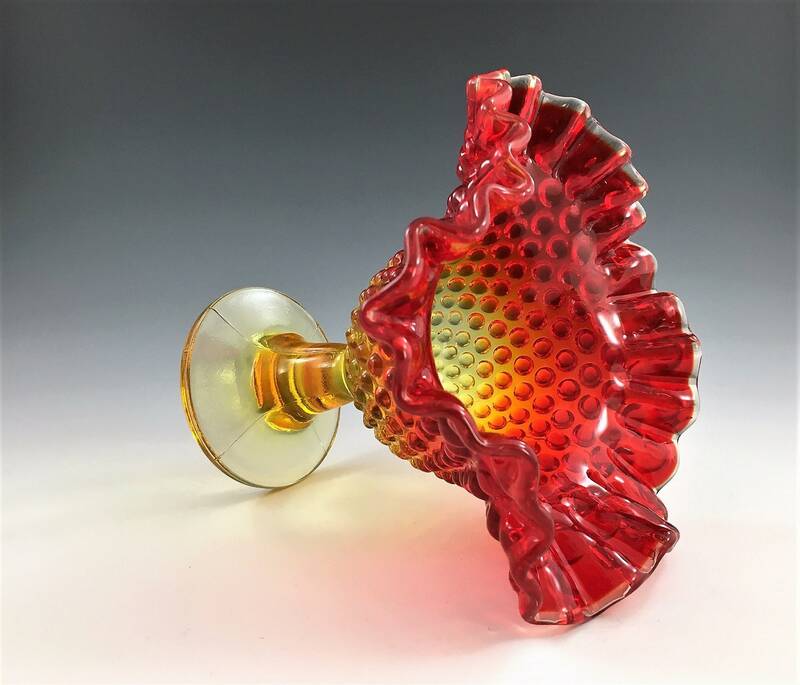 Amberina is a fiery red glass that blends into orange and yellow. This unique coloring is created by a process first patented in the United States 1883. As the glass is reheated before it is allowed to cool it darkens to orange and then to red. 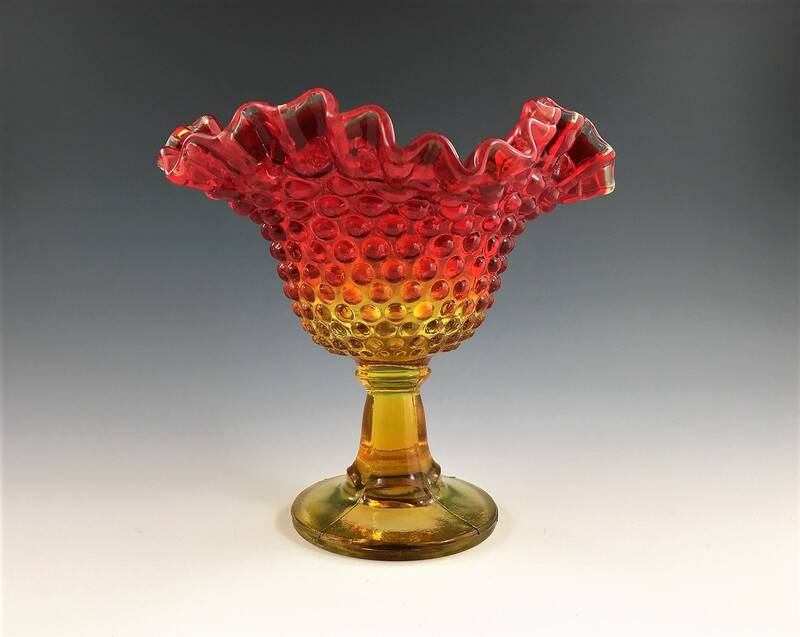 This particular piece has an added "crest," or rim of crystal clear glass around the deep red double-ruffle lip. 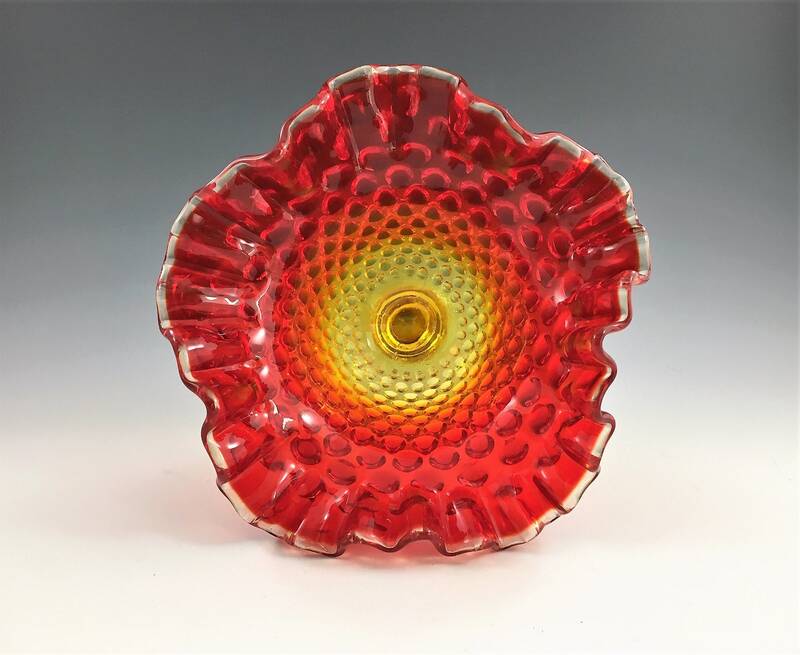 It measures about 5 1/2 inches tall and is about 6 inches in diameter at the rim. Excellent condition with no chips or cracks.